At the Atlanta Passport Agency, they will provide a same day passport service. They are located in Atlanta Georgia, if you are in need of an urgent passport in Atlanta you could go down to Atlanta GA passport agency, and acquire your United States passport that will be expedited same day. To set up an appointment with the Atlanta Passport Agency, you will need to call the State Department at 1.877.487.2778 to set up an appointment. If you are unable to get to the Atlanta Agency, the other option would be to employ the services of a private passport expediting company. 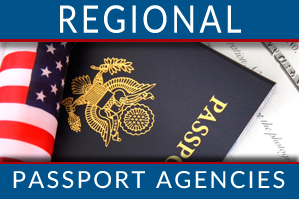 Note: To get help from the Atlanta Regional Passport Agency you will need to provide your travel plans showing that you would be traveling within the next 14 days. The Hours of Operation for the Atlanta Passport Agency are Monday through Friday, 8 A.M. – 3 P.M.
To make an appointment with the Atlanta Passport Agency, just call the State Department at this toll-free number, 1.877.487.2778 and follow the instructions provided by the State Department. On time appointments ONLY: If you are 15 min late you would have to reschedule your appointment. No one should accompany you during your visit. A credit/debit card, check, cash, money order, bank draft to cover any expedited service fees. You may be called sooner or later than your expected appointment time. If you cannot get to the Atlanta Passport Agency you could hire the services of a Passport Expediter to get your passport process quickly.